Finding the best wedding photographers sometimes becomes a big issue. It is difficult to find and, most importantly, check how well the photographer performs his/her work. Here is a list of best photographers across the US and around the world. They are absolute wedding photography professionals who inspire, have a vibrant individuality, attention to details and excellent photographic taste. Jasmine is one of the best wedding photographers in the world. This is confirmed by her publications in such well-known editions as Bride&Bloom, Inside Weddings, Ceremony, Cosmopolitan Bride, Destination I Do, Exquisite Weddings and many others. This list can be extended by other highly influential publications such as American Photo, Rangefinder, Photo Professional, Professional Photographer. In addition to being the first among the Northern California wedding photographers, Jasmine is considered one of Top 5 Most Influential Photographers and Top 10 Wedding Photographers in the World. Moreover, she writes posts about the wedding photography and teaches beginning photographers. Jasmine is a family woman who lives with her husband and a dog, loves chocolate and yoga. Amy Bluestar is one of the best wedding photographers working since 2013. This is a person who is in love with wedding photography. To make a wedding photo is her main purpose in life! A wedding is a celebration, where not only couples but friends, relatives, and loved ones can fall into the most unexpected emotional conditions. Ken Pak believes that the task of the wedding photographer is not to miss anything important and to print on the memory of what people feel inside. In such a way the photos become alive and authentic. This quality makes Ken Pak one of the top US wedding photographers and one of the best wedding photographers in the world.. Being a boy, Clane Gessel built castles in air and dreamed to make great photos. By making every effort, in order to explore all the nuances of this craft, the boy quickly reached the first victories - the publication of his photo in the National Geographic and Smithsonian magazines. This brought him the title of one of the best Seattle photographers. Next, there was cooperation with The Seattle Times, which envisioned a vector of journalism. Over time, Clane better understood that his true vocation was to tell love stories through a photo, so he became one of the best wedding photographers. Journalistic skills help Clane Gessel to find a unique approach to each pair and make the lovers fully open during shooting. Myriads of positive reviews from clients make Volodymyr Ivash one of the best wedding photographers NYC and around the world. He is the founder of a studio engaged in photo and video production. He is localized in New York and Rome but also works abroad. The main features of his photos are the uniqueness and creativity. Being the best among engagement photographers NYC, he will turn your wedding shooting into a fairy tale! Tony Gambino has a lot of experience in wedding photography. In his account, more than 150 weddings, each of which is a new unique experience and an awesome story. Using this knowledge, Tony is a true professional and one of the best wedding photographers around the world. In his understanding, wedding photographers packages should convey emotions. For this reason, no moment is left out due to Tony and his lens. The best wedding photographers have a great experience behind their shoulders. And who else if not Sherry Hagerman knows about it well? She professionally engaged in photography for 15 years. Moreover, she is one of the top award winning photographers. In her account such prominent awards as Best Wedding Studio in the United States and Best in the Midwest for the past 10 years. She perfectly knows how to make wedding photo a true perfection and deliver the most delighted emotions to the clients. Ben Hartley is able to apply creativity correctly in the approach to the photography. He is a true guru and connoisseur of human nature. In his opinion, exceptionally humans and humans’ emotions - are the most important things on Earth. With the help of the photo, Ben shows all the beauty and uniqueness of our life. In addition, he teaches others through the weekly podcast called the Six Figure Photography Podcast. This approach makes him strongly be among the best wedding photographers in the world. Jimmy Bui was convinced that he would be a teacher, so he entered university to get this job. However, very quickly he realized that his true vocation is a wedding photo. And he start everything from a new leaf. Over the years, Jimmy proved that this decision was correct. He found his talent in making a wedding photo. As it turned out, pedagogical abilities also played an important role. The photographer has an excellent approach to clients, well organizes the process of shooting and is therefore among the famous wedding photographers. Scott Dere has found interest in photography as a 5-year-old boy. With the first Kodak Brownie camera, he made his first photos and since then he has not left this endeavor. He had loved to work a lot since childhood; his first work job was at the age of 13 years. Scott photographed in various New York studios; collaborated with professional photographers NYC, had many commercial projects, and at the same time combined it with study at the School of Visual Arts in Manhattan. Now he holds BFA in the fine arts of Photography and an AA in Communications and is one of the best wedding photographers NYC. Before becoming among the best wedding photographers NYC, Ryan Brenizer worked a lot as a photojournalist. He photographed all the presidents since Clinton. Muhammad Ali, Stephen Colbert, Smokey Robinso – this is just a small list of those who were entrusted to be pictured by Ryan. He is an innovator in the photo industry, a teacher for other photographers. For this moment, Ryan and his wife, Tatiana, focus on wedding photography. Together they are extremely famous wedding photographers with over a thousand weddings done! One of the most talented New York photographers - Elizabeth began to photograph because it was her admiration. Later it turned out that this profession revealed her as a genius in this area. Having a family and a lovely home, Elizabeth is unceasingly engaged in wedding photography. The first books of THE LUMINOUS PORTRAIT and ADORNMENTS consolidated her position as one of the best wedding photographers. Her recent works include THE SILVER LINING book on breast cancer that she performed with Hollye Jacobs. For Lukas Piatek to be a photographer means, first of all, to be a narrator of love stories. Keeping a camera in his hands, he manages to reveal the most interesting scenes and create vivid pictures. He works to make people happy. Accordingly, he is among the most wedding photographers in Los Angeles. In order to make wedding photography special - Lukas Piatek will do everything possible, and even come to any country! This attitude to his work and also the wonderful results make him one of the best wedding photographers Los Angeles. Julie Pepin is famous for her non-standard photo vision. Her pictures turned out livelier and brighter than what we see in reality. This is because Julie is able to skillfully find those details whose emphasis makes them all extraordinary. Accordingly, such uniqueness has long allowed her to be in the number of the best wedding photographers Los Angeles. Amy and Stuart - the best wedding photographers Los Angeles who are in love with photography. Devoting all their time to their favorite occupation, which is the same as work and pleasure, they create magnificent shots, embody the original images, take off interesting photo sessions. The obvious advantage of photographers is the desire to provide a positive atmosphere for communicating with couples, to make their celebration less stressful. So, you do not need to look more for the best wedding photographers near me. Amy and Stuart are even ready to travel the world for their work! One of the best wedding photographers in Houston is Joseph West, which has long been engaged in photography. In recent times, he has been working in one of the most important genres. Catch moments that almost everybody has once in a lifetime. He makes incredible things. In a simple room, he can create a masterpiece. He has a non-standard vision and a strong sense of the emotions of others. His photos have a special style and he is recognizable as best wedding photographers in Houston, and abroad. The main feature of wedding photos made by Adam Kealing is elegance and eternity. Adam's wedding photo combines with portrait photography. Adam is photographing in a classic style, because this is something that never goes out of fashion, always beautiful and relevant. After all, everyone wants to have a beautiful wedding portrait, which was shot with the skill and emotion. Nicholas Leitzinger's path to photo art was long enough and interesting. At first, he long avoided a wedding photograph. However, immediately after he tried to do it - he realized that further his life would never be the same. Starting to engage in wedding photos, he reached the tops of success and quickly won a place among the best Dallas wedding photographers. Nicholas works in photography with his wife Kasi. The couple is always happy to travel around the world and take pictures in different countries. Amy Karp is one of the best Dallas wedding photographers. Amy's main profile is wedding photography. She devotes a lot of time to this and is constantly evolving in this multi-faceted genre. The wedding is the best mix of different genres and styles. Amy's task is to show all the variety and even more. Gina Brocker is among the award winning photographers, her unique approach to work is felt in every photo. She can reveal the most complete depth of your wedding and holiday atmosphere in general. Gina has long since become one of the best Boston wedding photographers. Her most successful works were published in The Sunday Times and the British Journal of Photography. Every day she is improving her skills. Gina is ready to travel for the sake of photo sessions. Vanessa does not need a long presentation, as she is naturally one of the best Boston wedding photographers. Her main condition for the excellent photos is the authenticity and integrity of emotions. Any productions and planned shots, everything should be as it is. Vanessa is doing his best to let the couple behave as always. It is this approach that brings a special atmosphere to her photo, and this distinguishes her from among others. Lucille Lawrence is a talented photographer from Mendocino County. The mystical home inspired the girl to create high-quality shots. Accordingly, the beautiful landscapes of Northern California have become Lucille an ideal place for inspiration and great effort. Having focused all the professional skills, the girl discovered a talent for wedding photography and quickly became one of the most needed after San Francisco wedding photographers. Her style is to understand the history of each couple and transfer all the uniqueness of the photo. At the moment, she works in Napa, the Bay area, but is always ready for travel. If you are looking for positive, exciting, professional, cheap wedding photographers in San Francisco - Sebastien Bicard will accomplish this task with ease. First, it should be noted that Sebastien has a French origin, and therefore speaks with a captivating accent. He makes an impression of a positive and sensible photographer who will make every effort to succeed. Amy Winningham is considered one of the best San Francisco wedding photographers. She takes care of productive communication with the couple, in which the most successful photographs are created. Together with Amy, you will feel as if you know her for many years. Such sociability and overall openness to people captures and inspires positive emotions. It is therefore not surprising that she is among the best wedding photographer in USA. Azzura has been among the most talented Seattle photographers for many years. He is able to see the composition of the frame perfectly and catch the live moments of the wedding, transmitting the emotions of that day. Wedding photos made by Azzura are the most romantic proof of the love and tenderness of two people. While flipping pages of a wedding album, as if getting back a time ago, all the emotions and experiences come to life, and in the memory, the blessings of the parents and the first marital dance appear. Dani Weiss works with full dedication and devotion to his profession because he is very fond of what he is doing. He has been working as a photographer for more than 28 years. With pleasure, Dani will help to keep the memory of the wedding forever. Among the Seattle wedding photographer prices, she shows the best fit of price and quality. Nick Plus and Danée are ranked as one of the best wedding photographers. They are real artists who have a sophisticated aesthetic taste, are keenly aware of the mood, and are able to capture the uniqueness of the moment. Nick and Danée will help you over and over again experience what you felt on that day even after many years. The wedding photo will remain with you forever, eloquently reminding you of one of the happiest days of your life. If you are looking for wedding photographers near me, Nick Plus Danée can be ideal candidates because they are ready to travel around the world for the sake of work! Kelci Alane is a real professional who is able to create incredible masterpieces of wedding photography. Having got degrees in journalism and photography, she uses these two styles of shooting while creating her unique wedding packages. Her photographs are known for their elegance and natural look. Using rich hues and colors and paying attention to the smallest details, Kelci provides her clients with valuable memories of the happiest moments of their life. 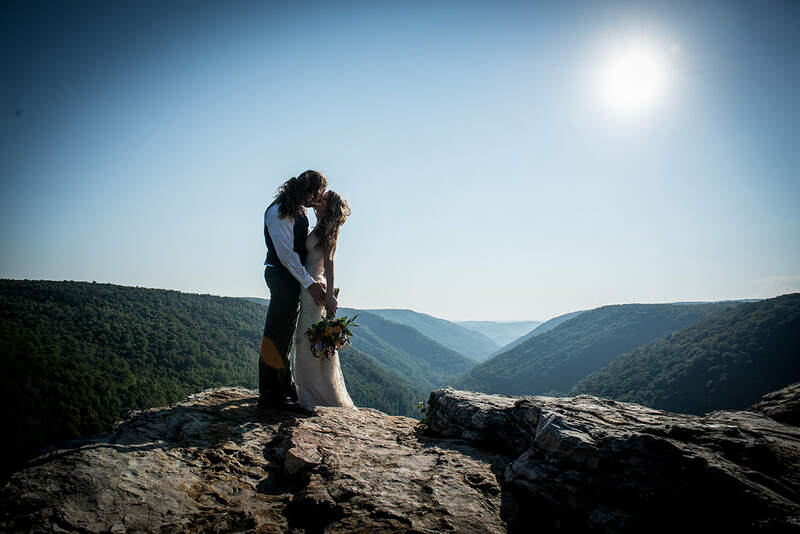 She is considered to be one of the best wedding photographers in Maryland not only due to her photography skills but for her ability to communicate with people and to calm them down before shooting. Being best wedding photographers, Matt and Melanie realize that wedding pictures are expected to show all the passion, sincere love, touching emotions and joy of the day. These highly-qualified and devoted to their work photographers produce fantastic images capturing the most remarkable features of your relationship. The Cashmans have the special gift to turn even simple usual moments into the brilliant photos, which will remind you of this unforgettable event. The company specializes in different types of photography, including wedding one, is famous for the high standards of the work. Its award winning photographers create graceful, romantic and magnificent images. The main goal of Adrienne Matz is to make the photographs so realistic and vivid that people will have the same emotions and feelings even in many years while looking at their wedding photos. Are you asking yourself: “Who are the best wedding photographers near me?” The answer will be Adrienne Matz Photography! 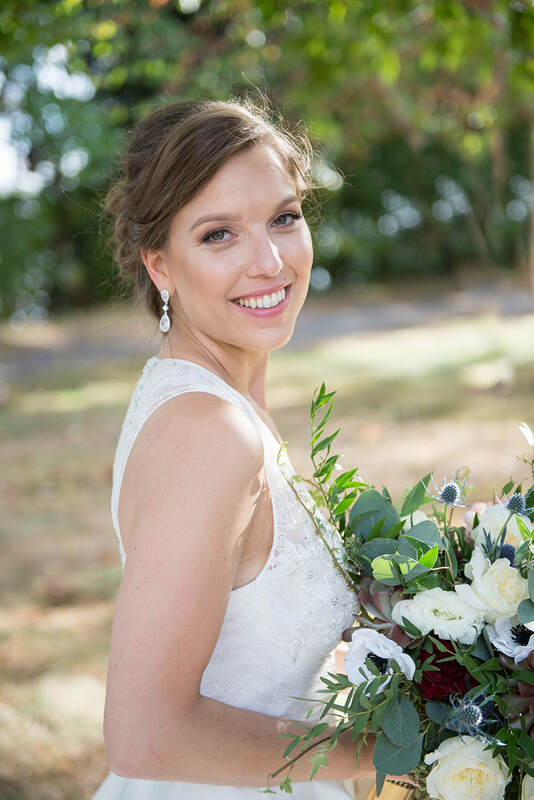 Professionals of Alyssa Andrew Photography are among the best wedding photographers in Philadelphia, Lehigh Valley, Tri-State, and Delaware. They can create wonderful shots of various events connected with the wedding. The company works not only in the USA, but all over the world. Amber Johnston has been an artist for the last twenty years. She had worked in different fields until in 2009 she received her MFA in photography. Since then she has been combining two professions – a portrait photographer and an artist. She gets her inspiration from stories of real love and true feelings. As one of the top US wedding photographers, Amber Johnston continues exploring different locations trying to find amazing sites to take photos. She is courageous enough to shoot in the highest mountains or some other dangerous places. Dewy grass or puddles won’t stop Amber if she is going to have a perfect view or angle. Igor Demba is known as one of the best wedding photographers London. In his work, he combines modern and classical components, adding his own extraordinary features. His journeys to various parts of the world influenced his work greatly. While traveling to numerous countries, Igor learned lots of interesting things and took the most wonderful traits of each culture. All this experience he uses in the shooting. His imaginative approach along with his talent and personal qualities put him into the list of best wedding photographers in the world. The profession of photographer allows Michelle Lindsell to combine her two loves – traveling and photography. She took up photography at a very young age and she never regrets it. Michelle has a natural talent to notice the smallest details and a very imaginative personality. Her unique style distinguishes with a special mixture of classical and modern traits. Michelle’s images being both formal and sincere make her one of the best wedding photographers. Paul Santos, the award winning wedding photographer, bases his work on the principles of a realistic image. He believes that photos must show people as natural as possible. Shooting weddings all over the country, Paul implements his visceral approach and artistic portraiture. He pays attention to every moment and even modest trifles can be captured by his camera. Paul’s photographic style is marked with simplicity, honesty, and realism. His wedding photos impress by their classical black and whites or modern rich colors. Ian and Hazel MacMichael are considered to be real wizards of wedding photography. They create photos transmitting their strong belief in true love on the pictures. Their professional attitude and natural artistic tastes provide the couples with breathtaking images of the most valuable minutes of the day. Ian and Hazel do their best to shoot each moment and supply fabulous photos to you. Are you from Liverpool? Are you searching: ‘Where can I find the best wedding photographers near me?’ Mr. and Mrs. MacMichael are the ideal variant for you. Before she became one of the best wedding photographers, Nikki had shot in her small dark room but her endless energy, love for art and photography help her rich the success. While the shooting she tries to be unnoticeable as she believes the best images can be taken when everything goes on in a natural way. Nikki’s photographs are so emotional and vivid that when you are looking at them you feel as a part of the story. Devoted to his work and incredibly talented Andrew Rae is ready to create amazing wedding pictures which will be treasured for years. He does not like shooting artificial poses or well-planned and well-rehearsed scenes. His aim is to make timeless images based on true emotions, real passion, and feelings. Andrew Rae captures priceless moments of the wedding with all his classical elegance and stunning inspiration. His attention to the details and an amazing feeling of the moment help him catch even the smallest reactions and every unexpected smile. Andrew Rae, the destination wedding photographer UK, is ready to film the happiest occasions of your life. Wedding photography is both a passion and work for Andrea Kuehnis. Her careful and friendly attitude to her clients along with undoubted mastery makes Andrea one of the best affordable wedding photographers. She is very patient and open to the couples and they always feel comfortable and confident in front of the camera. Her photos are stylish; they express warmness, romance, and elegance. Andrea’s ability to combine the beauty of people and landscapes is amazing. Getting her inspiration from natural light and people surrounding her she takes brilliant photos. In his pictures, Albert shows all the happiness, joy and magic emotions of the wedding occasion. Using his camera Albert tries to be an unnoticeable member of the celebration and shoots the best moments. Though he lives in Bristol, Albert is ready to work in any part of the world. Therefore, if the best Dallas photographers are already booked, you can invite Albert Palmer and get excellent photographs from a skillful artist. Natalie Pluck never stops developing her skills and creativity. She gets her inspiration from the beauty of nature, the loveliness of each season and true human feelings. She is always ready to capture the enchanting moments of the wedding day. Natalie works not only in the United Kingdom but she is among the best wedding photographers in the world and doesn’t mind shooting abroad. Sacha Miller is British award winning wedding photographer who completely understands the importance of a good storytelling for creating gorgeous bridal photos. His former experience in newspaper reporting and photojournalism help him greatly in while shooting wedding celebrations. The ability to find the right balance in the composition is one of his main features. If you want to be ensured in his high qualification and undoubted mastery, have a look at his portfolio! As one of the best wedding photographers London, Jessica has her own unique style and special approach to photography. She empowers her photos with natural lighting, intimate emotions, and fascinating composition. It is possible to observe a brilliant combination of documentary photography and wonderful portrait shots. Jessica is sure that unplanned and unexpected shooting is not less important than carefully prepared photo scenes. Extraordinary images which are full of positive emotions, imagination and bright colors make Joanna Bongard one of the best wedding photographers. In her one-of-a-kind approach, Joanna creates colorful images in which every detail is underlined and highlighted. She provides her clients with the photos which will be great reminders about this memorable day. Based in the British capital, Jessica works with the couples from various countries. Liam and Bee Crawley's successfully mix in their work classical concepts and modern flows. Their wedding photographs stand out with a fresh artistic approach and charming beauty. Liam and Bee Crawley's experience and qualification and creativity make them equal to the best wedding photographers NYC. Liam’s natural intuition and talent combined with his strong personality help him take the best shots at each wedding. While the editing process is Bee’s duty in which he puts all his soul. They work both in Europe and other continents. David West has a substantial background in Art and he considers it one of the keys to his success. His passion for photography along with genuine and creative style let him join top 100 wedding photographers 2016. While shooting David tries to catch the most distinctive features of each couple and show their sincere feelings and relationships in his pictures. His style is considered to be modern, imaginative and artistic. With his individual approach, David never makes the same photos and each couple gets their unique wedding package. Drawing on their successful experience of wedding shooting, Jacob and Pauline can be named among the best wedding photographers in the world. Their amazing artistry, incredible professionalism, and devotion to their work are very appreciated by their clients who got wonderful photo-tale of their love. Work experiences in fashion photography, as well as some aspects of photojournalism, are the sufficient basement of their own style. Whereas, their practice in music videos and commercials help them create their films. Jacob and Pauline are ready to set off to any country to take other stunning photos of loving and caring couples. Stacia Morgan is in the list of best photographers because of her amazing wedding photos created in a specific style which combines modern approach and artistic, fashion features. 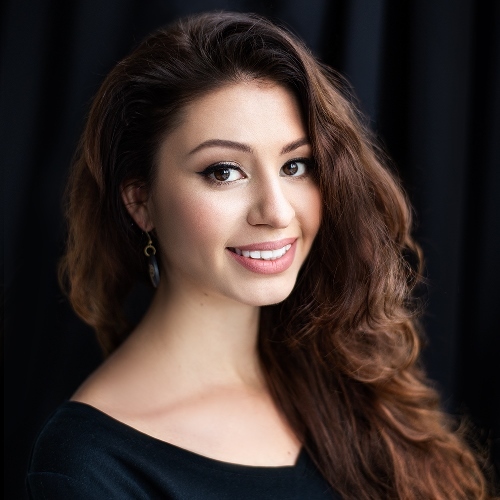 She has been awarded for her breathtaking photos which appear on the pages of many bridal magazines, books and are well-known all over the world. Stacia takes her cameras everywhere in hope to catch some wonderful view. Davi Nascimento has always been fascinated by art. He has been taking photography not so long, just for the last seven years, but he already calls it his passion. His other love is music. Both of these activities are indispensable in his life. In photography, he seeks the soul and wants to create something new and interesting; he even gave to his flow in the art of photography this name - "The concept of photography." In recent years, this Brazilian has won many international awards and has become one of the most famous wedding photographers. Pavel Gomzyakov started working in the field of wedding photojournalism over 10 years ago. He is fond of his profession as it gives him a wonderful opportunity to capture the most important moments of life, observe and shoot real emotions and genuine feelings. He got Wedisson Award - the prize for the best wedding photographers 2017. Besides, Pavel was included in the list of Top-100 (MyWed). One of the best wedding photographers in the world, Ben Pollard, stands out with his documentary style and concentration on the couples. Adding some fashionable splashes to the wedding shots, he creates real masterpieces of the priceless moments for the brides. Inspired and motivated to capture life on film, Jean tries to preserve unique moments which you want to remember. This photographer captures the essence of the moment. As he says, he is looking for emotions, wherever he is. And at the wedding, a lot of emotions can be met: the excitement of the bride and groom on their big day, when the groom first sees the bride, when they swear in love, happiness at the party. It is possible to capture the excitement of parents and grandparents, the reaction of children. Yoshio found in the photography a way to tell stories and no wonder that he is among the best wedding photographers. Ashley Davenport was included to top 10 wedding photographers in the world to her creativity and devotion to the work. She thinks that the couple should enjoy their wedding day and shouldn’t worry about the shooting process. It is her concern to take the best shots, to find the best views and scenery. Ashley creates photos full of vivid emotions, true feelings and she does her best to get such stunning pictures which will help to relive all the happiest moments of the day. Rika Conrad has been taking pictures for many years. As she remembers she has been doing it since the age of 14. In February 2004 she registered with the Chamber of Commerce and Industry, which means that now Rika has officially worked as a wedding photographer for almost 13 years! She thinks that photography is her heart and she is extremely inspired by top wedding photographers 2015, with some of which she regularly communicates. She likes to capture the atmosphere and supposes it’s important that couples can be completely themselves during the photo session on the wedding day. Rambo Estrada is a professional photographer from New Zealand but he can work all over the world. His extraordinary wedding images let him be among the best wedding photographers. Rambo combines his untraditional approach with unique documentary style in his work. He believes the wedding must be the happiest day and no one can interfere in it. He considers himself as an observer who captures the best moments. Manish Patel specializes in Indian wedding photos and films. He thinks that only hard and carefully done work can lead to success. He works with the team of skilled professionals who are passionate about designs, photography, films, and photo editing process. One of the best wedding photographers Los Angeles, Carsten Schertzer believes that his goal is to tell the whole stories with the help of his images. As the wedding is one of the most priceless and memorable days of the life, he tries to shoot each moment of it using all his experience and mastery. Carsten thinks to get ideal wedding images he must communicate with his clients very closely. Starting with the time when he was booked, he carefully performs every step of the process including pre-shooting preparations and picture post-processing. No doubt, to find a highly-qualified wedding photographer who will satisfy all your requests is quite difficult. But it isn’t impossible! Reading about the best wedding photographers and looking through their portfolios, everyone can find a suitable variant.